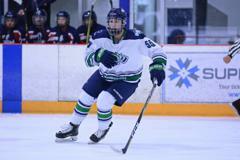 The 16U A1 team had much to celebrate over the holidays. Fresh off of their Wenatchee Invitational tournament victory a week ago, the 'Birds rolled their momentum into another tournament victory in Richmond. 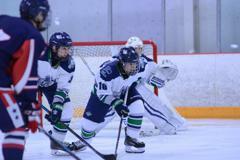 The T-Birds (39-8-5-2) backed by solid goaltending, stingy defense and explosive forwards, marched through the tournament with a perfect 7-0 record en route to the championship. 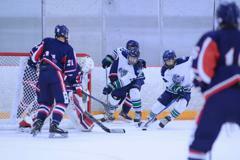 Jr. Thunderbirds Head Coach, Mike Butters, was very complimentary of his team's performance. "Every player contributed. 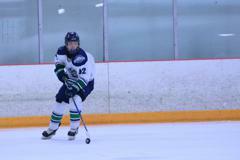 The group played inspired hockey. It was a good weekend for them." Aside from the tournament banner, several individuals led the tourney in different capacities. 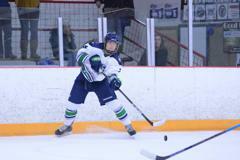 Forward, Trevor Loucks led the tournament in points (14). 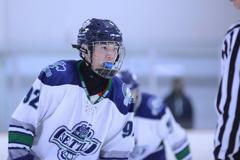 Danny McCarragher finished first overall in goals (9). 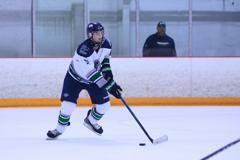 Stirling Nash finished first in assists (9). 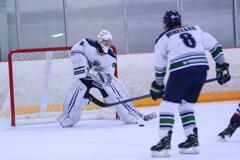 Goaltender, Andy Vlaha led the tourney in wins (4), Goals Against Average (0.33) and Shutouts (2). Game MVPs for the 'Birds were: Phinny Weston, Andrew Alonzo, Danny McCarragher, Trevor Loucks, Ty Waram, Andy Vlaha and Stirling Nash. 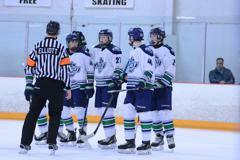 The Sno-King 16U Jr. Thunderbirds returned from the Islanders USPHL Showcase this past weekend with much to celebrate about. The team enjoyed some on ice success, got to see some of the best competition on the east coast, and met an NHL Hall of Famer all in the same weekend. 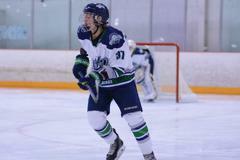 The T-Birds entered the showcase on a roll, winning 10 of their last 12 games and were hoping to compete against some of the USPHL's best. They did just that. The team arrived Thursday afternoon and after a long day of travel, got settled in to their hotel where they watched game footage of their upcoming opponents to prepare for the 5 games that lay ahead. Their first match up was against the Connecticut Rangers. The 'Birds came out hustling and scored just :31 seconds in when Phinny Weston banged home a rebound from a Ty Waram shot to lead 1-0. It was all Sno-King as they added 3 more goals, including an empty net, short handed goal from Weston to give him two for the afternoon and Sno-King a 4-0 victory. 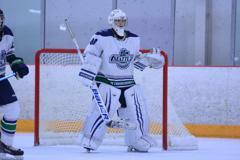 Sno-King outshot the Rangers 40-13 and goaltender, Andy Vlaha, went the distance to earn the shutout. 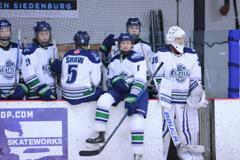 The team had just enough time to refuel and grab a little rest as they then played at 7:00pm vs. the Jersey Hitmen. Sno-King again scored first on a laser from Trevor Childears to give the visitors an early 1-0 lead. 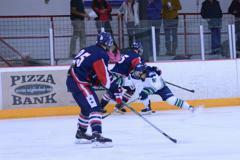 Jersey answered back before Sno-King scored 2 more times in the first period to gain a 3-1 lead. The second period saw Jersey draw within one after a goal with just 6:18 remaining in the period. 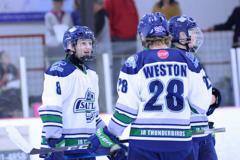 However, it was all Sno-King after that as the Jr. T-Birds scored 4 straight times, cruising to a 7-2 win. Childears and led the way with 2 goals, with singles going to Klenk, Alonzo, Loucks, Schleusner, Weston and McCarragher. 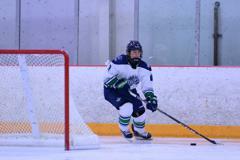 Bailey Bradford 6 of the 8 Hitmen shots he faced. 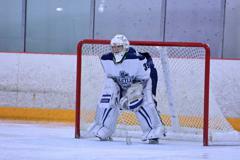 Sno-King launched 38 shots at the Jersey netminder. Game 3 was an early affair. 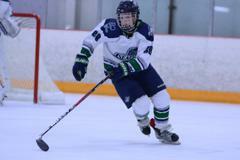 The 8:;00am game Saturday was against Philly Hockey Club, who entered the game with impressive stats. 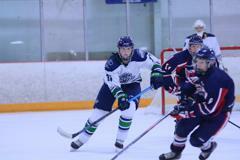 Sno-King again started their scoring early to lead 3-0 after one period. 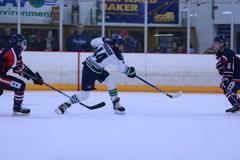 The teams traded 2nd period goals and did it again in the 3rd before Sno-King scored one last time to cap a 6-2 victory. 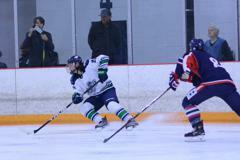 Stirling Nash led the way with 3 goals and 2 assists for the Big Blue. Others scoring goals were Waram, Ojala, & McCarragher. Andy Vlaha stopped 13 of 15 shots and the 'Birds outshot Philly 33-15. After a quick bite to eat at Boston Market, the team returned to face the NY Aviators AAA team who were were coming off an upset victory of a top 10 ranked opponent. As was consistent with the previous games, Sno-King scored first. Chase Ojala converted on a nice cross crease feed from Nash to give Sno-King a 1-0 lead. 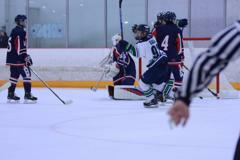 NY pushed back by tying the game up but it was the boys in Blue and Green that kept pouring on the goals as they skated to a 5-2 win. 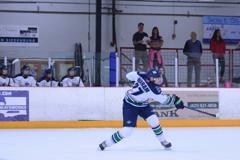 Ojala, McCarragher, Geddes, Klenk and Waram all scored for Sno-King and the 'Birds outshot NY by a narrow 26-24 margin. 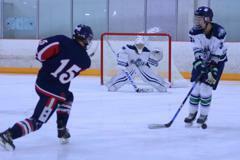 Bailey Bradford went the distance for Sno-King, stopping 22 of the 24 shots he faced. 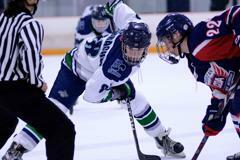 The string of 4 victories set up a meeting with the Hartford Wolfpack on Sunday morning. 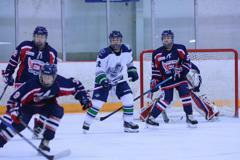 Many would summate that fatigue would play a big factor on the Sno-King team as they played a total of 5 games in less than 3 days. It turned out that that wasn't to be the case as Sno-King as they outshot the Wolfpack 34-9, cruising to an impressive 8-1 win, tops amongst all teams at the showcase. 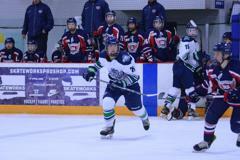 Stirling Nash earned his 2nd hat trick of the showcase and chipped in an assist, good enough for tops in scoring for the showcase. 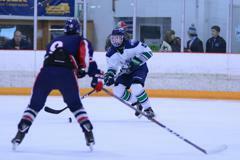 Also scoring for the T-Birds were McCarragher, Geddes, Klenk and Ojala (2). Andy Vlaha 8 of 9 Hartford shots. With 6 hours to kill before their flight, the team went to downtown Boston to take in the Freedom Trail, where they were educated on some rich US History such as the Paul Revere House and the site of the Boston Tea Party among other landmarks. Just when the team thought the weekend was over, they were treated to an encounter at the airport with Willie O'Ree. O'Ree was recently in Boston, fresh off his induction into the Hockey Hall of Fame. The team got their fill of photos and were each given a signed Hall of Fame card by O'Ree and were treated to several stories along the way. 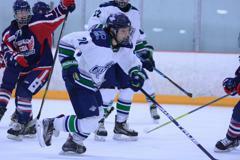 Next up for the T-Birds is a couple of days of practice before Thanksgiving. 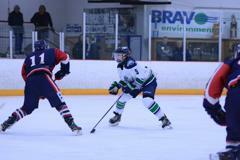 They then head to BC this Friday for 4 games over the weekend. 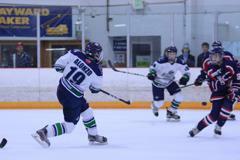 In their second big tournament of the year, the Sno-King Jr. Thunderbirds put up an impressive 3-0-1 record at the Honeybaked Tier 1 Classic, this past weekend, in Detroit, MI. 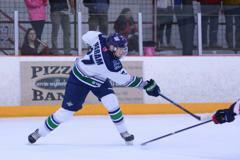 The 'Birds (25-7-4-2) Defeated the York Skipjacks (3-1), Esmark Stars (3-2) and NY Islanders (6-2). 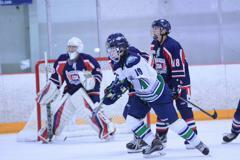 Their only blemish on the weekend was a 4-3 overtime loss to the Jersey Hitmen. 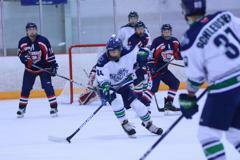 The tournament featured some of the top Tier 1 teams in the country and was attended by 16 teams at the midget level. 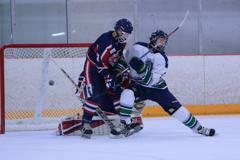 Scouting was a mainstay all weekend as scouts and recruiters from NCAA, USHL, NAHL, OPJHL, among others were present. This year's tournament was a marked improvement from last year where the team went 1-3 with their only win coming against a 15U team from Chicago. The team's other big tournament of the year was last month in Boston, where they ran up a 5-0 record vs. USHL Premiere teams. 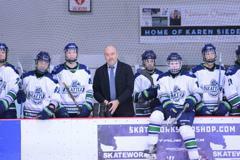 T-Birds Head Coach, Mike Butters, was pleased with the team's record, despite an uneven performance. "What was especially noticable was that we really didn't have a great weekend, performance wise. That said, the team competed hard and managed the games well to secure our victories." 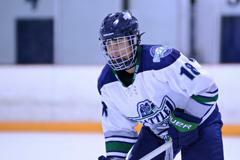 Butters added, "Our two victories vs. York and New York were solid efforts with execution. While we struggled against both Jersey and Esmark, we executed at the right times to secure points. I am encouraged by our progress and several players had good weekends." 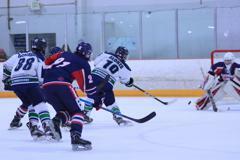 The T-Birds won't get much time to rest as they return home Sunday, practice Tuesday and Wednesday and get back to their PCAHA league schedule on Thursday, Friday, and Sunday (2). The 16U A1 team finished their season on a high note last weekend as they captured another tournament banner. 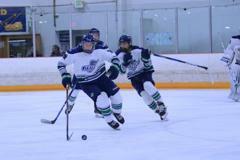 The team went undefeated en route to a championship banner at the Pacific Coast Hockey Academy tournament. 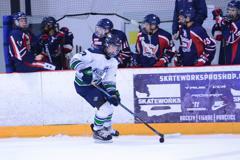 The T-Birds (51-11-7-2) opened the weekend with a 5-2 victory over the Shawnigan Lake Academy on Friday. 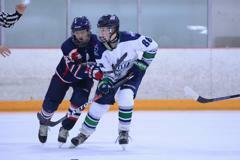 They backed it up with victories over Everett 16U (6-5) and West Vancouver Academy (10-0) to set up a finals matchup with the Northwestern Alberta Athletics Academy. 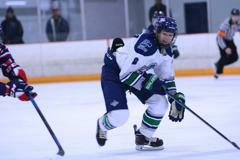 The T-Birds had little trouble with the Bruins as they cruised to a 5-0 victory. 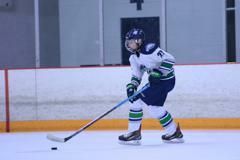 Chase Ojala led all players in scoring and was named to the All-Tournament along with defenseman, Luke Schleusner. 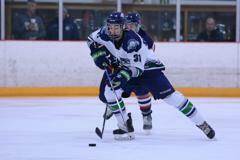 The T-Birds wrapped up their season with their player awards banquet on March 2nd. The coaching staff will now prepared for the 16U AAA tryouts that will take place on April 15-21. Details will follow shortly. 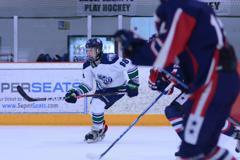 The 16U A1 team added another accolade to their season as they captured the Regular Season Banner at the Midget Flight 1 level in the Pacific Coast Hockey League. 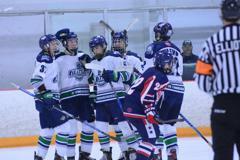 The 16U A1 Jr. Thunderbirds qualified for top flight seeding in PCAHA by having the best record amongst their rivals in the placement portion of the season, building a 5-2-1 record in the process. 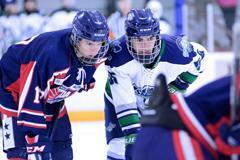 Once in the Flight 1 Division, the Jr. Thunderbirds rolled to a 13-2-4 record. While the 16U team has 1 game remaining, they have built a lead in the standings that cannot be reached by 2nd place member, the Richmond Jets. 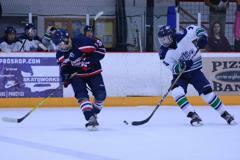 Sno-King rounds out their regular season with a game this Tuesday (1/22/19) against Chilliwack. The regular season title is something that may be a first for Sno-King at the Midget Flight 1 level. Several Sno-King staffers are researching the archives and have yet to find another champion at this level. 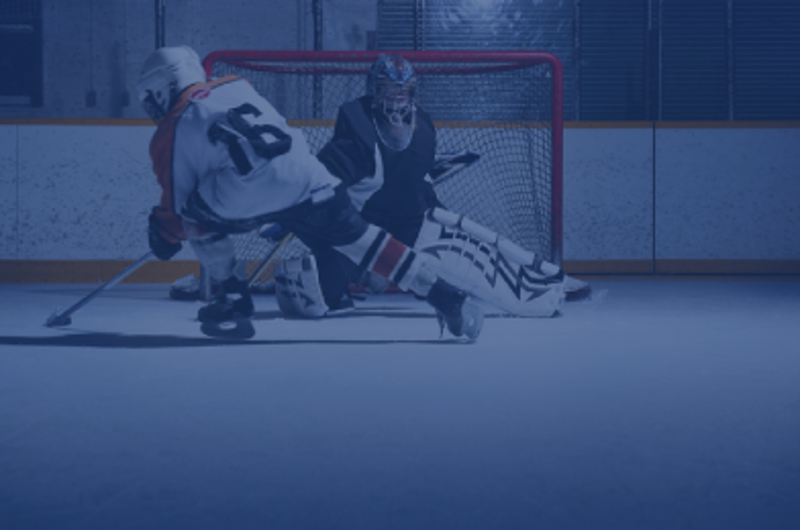 What makes this accomplishment even more impressive is that the Sno-King roster is only comprised of first and second year players that are under 16 years of age. 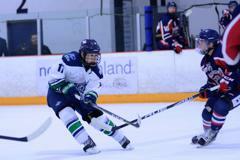 Hockey Canada allows players 17 & under to compete at the midget level, while US Hockey restricts it to 16U. 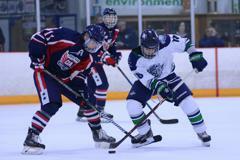 T-Bird players are in some cases up to 3 years younger than their Canadian counterparts. 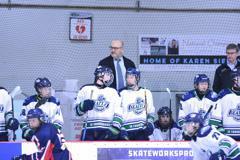 Jr. Thunderbirds Head Coach, Mike Butters, has been pleased with the play of his team in PCAHA and the progress the association has made in just 2 short seasons. "Last year we went 4-14-4 in the league, so to come back this season and have a solid performance is something the returning players and new players can celebrate in." 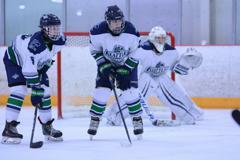 Butters added, "Our group was committed to improving each game and have bought into the process of training and playing games against older, and many times larger and stronger opponents. This league has been a great tool to help these players move to the next level. Our successes didn't come easy. 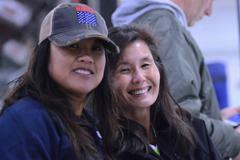 With some weeknight games and a bunched up schedule, we were sometimes playing 4 games in 3 days. To come out of it with a record like we did is a good feather in the cap for this group. They earned it." 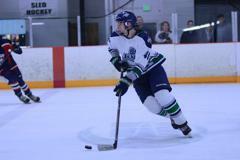 Next up for the Blue and Green is the Washington State Championships, where they will compete against Wenatchee and Everett for the right to advance to the USA Hockey District Championships, which take place in Anaheim, CA in March. 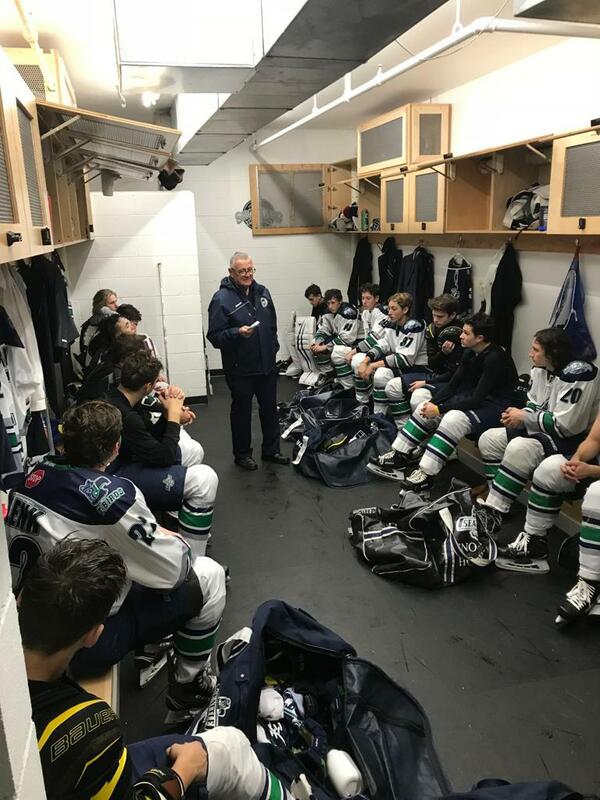 Roy Henderson (Langley Rivermen) speaks to the 16Us after their game.